Before Thanksgiving, a representative for the National Honey Board, contacted me on their behalf to ask if I wanted to share its gluten-free recipe for Pumpkin Honey Spice Cookies with my readers. 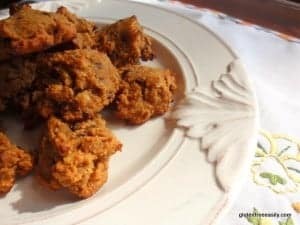 Spoiler alert: As you can see by the title of this post, those cookies quickly turned into gluten-free Honey Pumpkin Chocolate Chip Cookies for me! But I digress … a tad. Back to the origin of these cookies. At the time, the representative didn’t even know that we kept honeybees and were already actual fans of the National Honey Board! She simply contacted me because I was a gluten-free blogger to see if I’d be willing to spread the word on the National Honey Board’s gluten-free Pumpkin Honey Spice Cookie recipe. Of course, I said yes, but then I couldn’t find any pumpkin right away. When I did find pumpkin (in the form of several wonderful sugar pumpkins and some canned pumpkin), it first went to other favorite gfe recipes, like pumpkin pies (both Crustless Gluten-Free Pumpkin Pie and Best Ever Crustless Pumpkin Pie (Gluten Free and Dairy Free), Pumpkin Butter, a new recipe Pumpkin Butter Pecan Chocolate Chip Bars for a blog event to which I’d already committed, and to an all-time favorite of everyone’s, Easy Pumpkin Squares. Then the holidays came and life got busy. Now it’s a new year and life hasn’t slowed down (for you either, right?). Plus, I kept dragging my feet because I really wanted to make these cookies grain free, too. I know, I know … we food bloggers rarely can just take a recipe and make it “as is,” right? With a forecast of temps in the high 60s this afternoon, I didn’t add wood to the woodstove last night. That meant that this morning, it was quite chilly. Finally, it seemed like just the right time to turn on the oven for a while and make my version of these cookies! Here’s my grain-free, dairy-free, refined sugar-free (if you leave out the chocolate chips, and “close” to refined sugar free—with the evaporated cane juice from the chocolate chips–if you don’t) version. Below my recipe is the original recipe from the National Honey Board. These cookies stay soft, while not being too moist, and have the always winning combination of pumpkin, pecans, and chocolate! What did I do differently to make these cookies grain free? I used slightly more almond flour than the amount that was called for of the gluten-free all-purpose flour, which I, of course, omitted. I added some baking powder to help the cookies rise a bit more because almond flour is denser. How did I make the cookies dairy free? I first left the butter out completely because almond flour is moist and the recipe already had one cup of pumpkin, but then I decided to add a small amount of coconut oil for that nice “mouthfeel” and slightly richer taste. I think extra virgin olive oil might even work better though and will use that next time. Leaving out the oil is fine, too; just know that doing so gives less of a cookie vibe and more of a plainer pumpkin bread taste. Still good though. I left out the guar gum; it’s just not needed with almond flour. I left out the cranberries because I prefer my dried cranberries in a really good salad; call me crazy. Of course, I added chocolate chips because, in my opinion, there’s something about pumpkin cookies that has always required chocolate chips. 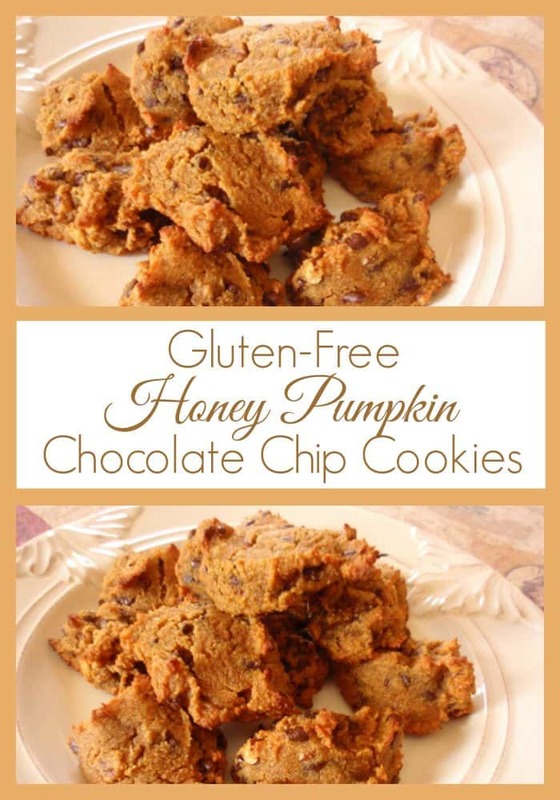 Just gluten-free Honey Pumpkin Cookies or gluten-free Honey Pumpkin Chocolate Chip Cookies? That’s a super easy choice!! 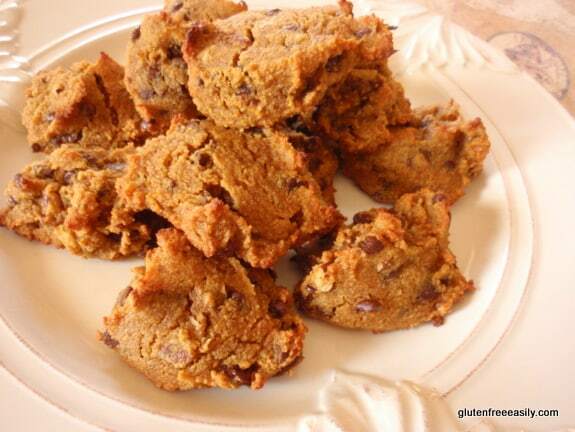 I can eat pumpkin bread all day long without chocolate, but I like chocolate chips in my pumpkin cookies! Even though it’s the end of February, as I’ve said many times before, there is no bad time for pumpkin recipes. Whichever recipe you choose, enjoy these Pumpkin Cookies! Many thanks to the National Honey Board! Adapted from the National Honey Board’s Pumpkin Honey Spice Cookies recipe, these cookies are also dairy free with a refined sugar free option. Heat oven to 350°F. Grease or line baking sheets with parchment paper. In a large bowl, add dry ingredients and stir with wooden spoon. Add in other ingredients and mix until incorporated. Drop tablespoons of dough onto prepared baking sheets, leaving about 1 inch between them. Bake about 13 minutes or until somewhat firm to the touch and light brown. Cool on pan 5 minutes. Transfer to wire rack to cool completely. For more even baking and slightly flatter cookies, you may wish to press down the batter with a spatula after you've scooped it onto your baking sheet. I suspect that any egg substitutes would work in this recipe, but that’s just a guess; I haven’t tried any yet. Be sure to use a grain-free baking powder (link in recipe) or grain-free baking powder substitution to make these cookies completely grain free. A common substitution for baking powder is a mix of baking soda, cream of tartar, and arrowroot, but truthfully, you don’t need the arrowroot and you need less of the baking soda and cream of tartar combination than you do actual baking powder. So the following is not only a grain-free tip, it’s also a frugal one. For every teaspoon of baking powder needed in any recipe, add ¼ teaspoon of baking soda and ½ teaspoon of cream of tartar. In this recipe, I’d just go ahead and substitute for the higher amount of baking powder, using ½ teaspoon of baking soda and 1 teaspoon of cream of tartar. Do not make this up in advance as the mixture does not keep well. I learned this tip from The Tightwad Gazette many years ago, when author Amy Dacyczyn was still publishing her newsletter of that name. But The Complete Tightwad Gazette, a compilation of her very helpful newsletters, is still available. Reprinted with permission from the National Honey Board. You can find many more terrific recipes at their site, www.honey.com. Heat oven to 350°F. Grease or line three baking sheets with parchment paper. In a bowl, whisk together dry ingredients. On a stand mixer fitted with the paddle attachment, or with a hand mixer, cream together honey and butter. Beat in pumpkin and egg (mixture will look curdled, but will smooth out when dry ingredients are added). On low speed, mix in dry ingredients until blended; mix in pecans and cranberries. Drop tablespoons of dough onto prepared cookie sheets, leaving 1 inch between them. Bake 15 minutes or until firm to the touch. Cool on pan 5 minutes; with spatula, transfer to wire rack and cool completely. *Use a store-bought blend or make your own blend by combining equal parts white rice flour, tapioca starch, and potato starch or cornstarch. 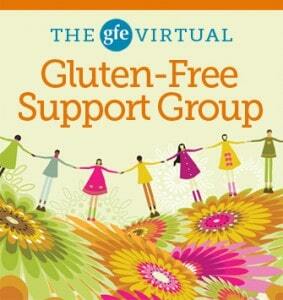 Shirley's Note: I simply use my Two-Ingredient Gluten-Free All-Purpose Flour Mix. Originally published February 27, 2012; updated November 15, 2017. Those sound delicious! I am a pumpkin fiend year round. I go through a can at least every 3 days, and we just discovered, my puppy, Dickens, loves it almost as much as I do! I simply must make these cookies! Sounds awesome! Thanks for sharing. I love finding new GF recipes (even if we aren’t a GF family). What a fantastic coincidence that you keep bees, Shirley, and what lovely recipes! Both sound really delicious, perfect for little treats at this wonderful time of year! Thank you for being a part of Hearth and Soul.